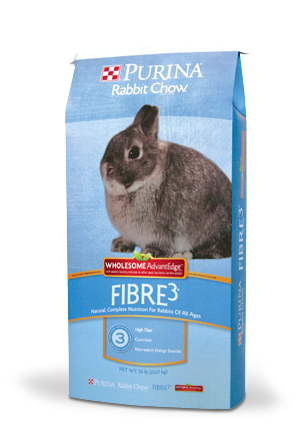 Purina Rabbit Chow Fibre3 Wholesome AdvantEdge Provides a nutritious, corn-free diet for those who prefer their rabbit’s diet not contain corn. It is high in fiber to support normal digestive tract function and overall health. It delivers consistent, advanced nutrition to support the growth, health, and longevity pet owners and breeders expect and deserve.